The New Boss of Big Cuts Has Arrived. Meet the Sawsquatch 15 Amp 10-1/4 in. 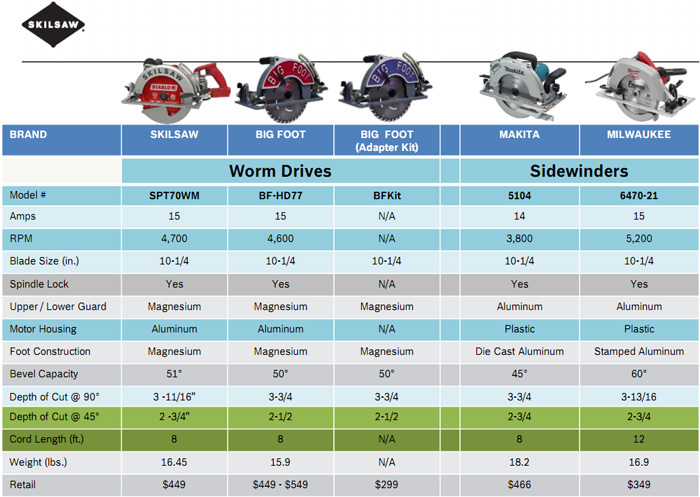 Magnesium Worm Drive Circular Saw designed specifically to cut 4x on all types of material in one pass. Precision and balance are crafted into the design, so you will knock out big cuts quickly and cleanly time after time. With magnesium construction, brass Worm Drive gearing, and a Dual-Field motor designed precisely for cutting, this saw is engineered to be relentless. With an added Diablo carbide blade, you can rest assured that you are cutting true from day one.Features a larger-than-life saw for cutting 4x cleanly in one pass powerful 15 amp Dual-Field motor easily tackles LVL, glulam, pine, and PSL wood. Magnesium motor housing stabilizes drive train for longer life Legendary SKILSAW Worm Drive gearing for a lifetime of performance. 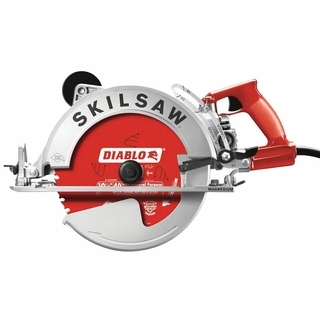 40-tooth Diablo carbide blade included for optimal cutting right out of the box. Multi-function wrench stored in the foot for convenience. Diamond knockout arbor Stay True Guarantee for 180-day money-back guarantee plus one-year limited warranty. Depth of Cut at 90°: 3-11/16"
Depth of Cut at 45°: 2-3/4"
Every SKILSAW should be as hardworking and reliable as you and your crew. Unpack and use your SKILSAW for 180 days. If you're not satisfied, we'll give you your money back. Simple as that. 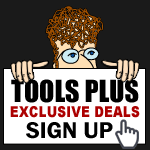 SKILSAWS also feature a 1 year limited warranty.